Weekly episodes teaching you how to ditch the drama daily. Tons of free videos covering your top workplace challenges. You ask questions. Cy Answers! Our Reality-Based speakers rock audiences with tips and tools for ditching the drama, boosting employee value, hardwiring accountability, and restoring sanity to the workplace! Transforming Leaders and employees into assets that no company can afford to lose. 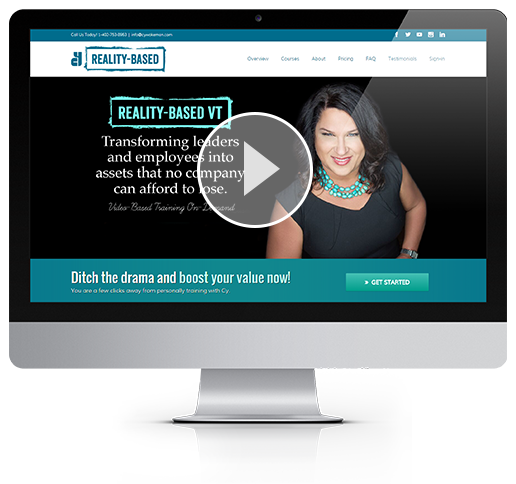 In her groundbreaking virtual training program, Cy Wakeman shows you how to own your career and improve your level of satisfaction at work. We've arranged for you to have free access to two hours of this incredible training. What a cool gift!